We offer a wide selection of grille styles and colours that will enhance the look and shape of your windows that complement the architecture of your building and your interior design. 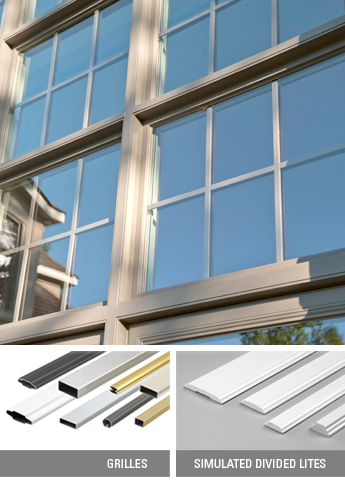 Grilles placed within the airspace between the insulating glass create a sleek, traditional look that’s easy to clean. Surface mounted grille bars create a unique and distinctive multi-pane effect known as simulated divided lites. We offer a wide selection of grille styles and colours that will enhance the look of your windows and complement the design of your building.